It’s Edgar Allen Poe’s Birthday, Icelandic Man’s and Woman’s Day (Bóndadagur), and it’s also National Popcorn Day – here in these United States. Part of my scheme to survive the cold this year involves a bit of a mix up on the normal routine. Rather than walk from Point A in Astoria to some distant industrial wasteland and then follow a completely different path back home (my normal “thing”), I’ve instead been taking the subway out a few stops to spots around three to four miles from home and then figuring out how to walk back home along an interesting route. 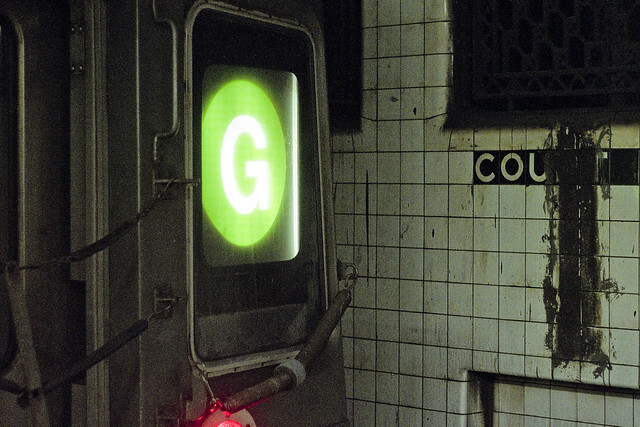 On a recent day, my route involved taking the G out to Williamsburg. Not the shiny part of Williamsburg, of course, but the still crappy section that touches southern Greenpoint. Whenever I’m in Williamsburg, I stare at the ground lest I catch the eye of a hipster who might find me novel or twee. On the corner of Metropolitan Avenue and Leonard Street, this centuried access cover was encountered, bearing the screed “Catskill Water Chamber.” Now, I’ve asked the question “who can guess, all there is, that might be buried down there?” more than once at this – your Newtown Pentacle over the years… but in this case I don’t actually have to guess or wonder. This is the sort of stuff that I know about which makes the folks at NYC DEP nervous about how I know it, incidentally. Short answer – while everybody else is reading about celebrity news or watching sports, I’m combing through the well hidden corners of NYC.gov. It’s a gold mine, I tell you. Water Tunnel #2 is about 17 feet in diameter, and it feeds pipes which first stretch out under Long Island City, Greenpoint, and Williamsburg. A sixty inch trunk main pipe under Jackson Avenue in LIC connects to one on McGuinness Blvd. in Greenpoint after passing under the Newtown Creek. 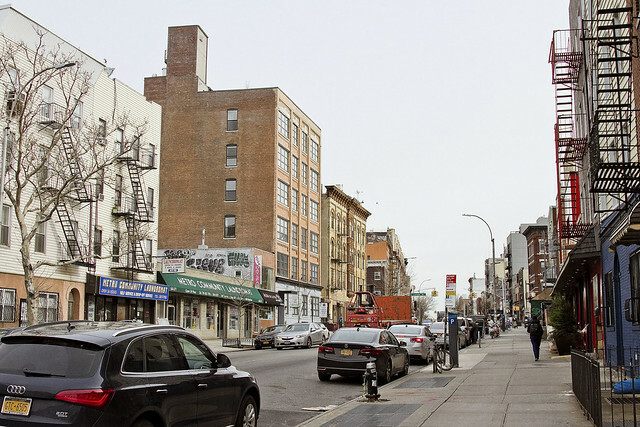 At Leonard Street and McGuinness, a seventy two inch pipe is connected to the main line, and that one feeds water all the way to Driggs Avenue. At the corner of Metropolitan Avenue and Leonard Street here in Williamsburg, where the access cover seen above can be found, there’s a series of smaller twelve inch mains which split off from the main flow and feed water to local customers. It’s likely that these access covers were forged sometime between 1905 and 1915, with the Catskill system beginning to come online in late 1915. The Catskill system was ultimately completed by 1928, forging one leg of the tripod of upstate reservoirs which supply NYC with drinkable water. It’s all very complicated. 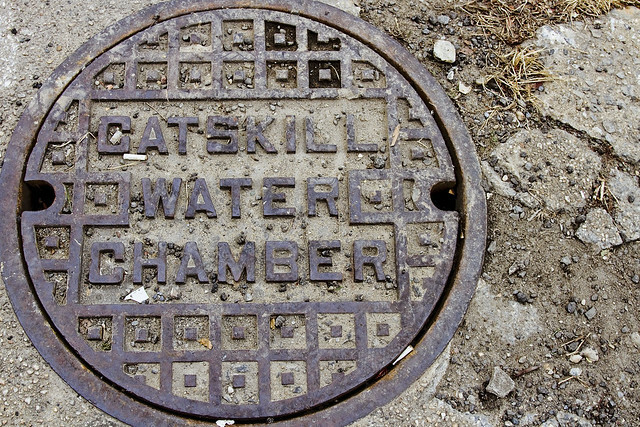 The NYC Department of Water Supply, Gas and Electricity was the entity which the Catskill system would be handed over to, and was one of the many “wet work” agencies that were compressed into the gargantuan NYC Department of Environmental Protection back during the City Charter revision of 1983. After congratulating myself on displaying another bit of my largely useless knowledge base, it was time to start moving again as a small crowd of hipsters were beginning to form and I feared ending up being posted about on Instagram again. One decided to continue up Metropolitan Avenue, following it to the Northeast, and inexorably approaching those loathsome existential realities which one finds lurking about the legendary Newtown Creek. More tomorrow – at this, your Newtown Pentacle.